« Education and Technology: The Link We Love? Foer covered the 2005 U.S. Memory Championship (yes, that really exists – with events such as Names and Faces, Speed Cards, and Poetry) as a journalist, and became entranced by the underworld of competitive memorizers. He spent the next year training for the 2006 championship, and this book chronicles his trials and tribulations. 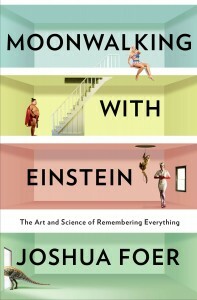 In addition to learning about the peculiar world and zany characters of the competitive memory circuit, Foer also investigates the act of memorization itself, its history, and its place in a world where virtually all of our memories have become externalized in the form of books and more recently, extremely well-indexed websites. Foer discovers that most competitive memorizers make use of an ancient Roman mnemonic device known as the method of loci, more commonly as the memory palace. Using the technique, memorizers conjure up mental images of well-known places from their lives, such as a childhood home or a favourite workspace. When memorization of a list or set of numbers is needed, the memorizer mentally walks through the palace, placing items on doorsteps, piano benches, and staircases, which makes the process of recall a simple matter of visualization of locations which are already well known. The items on the list are made physical and given context, at least in the person’s mind. The techniques were developed in a world that predates the written word, when vast internalized memories were a sign of great intelligence. In a world of Google and Wikipedia, with knowledge and facts at our fingertips, are we losing the art of memorization, and does it really matter? Foer’s book got me thinking about how, what, and why we test students in the classroom, and he delves into the subject of education on numerous occasions. He interviews a Mr. Matthews, who works with a group he calls “The Talented Tenth” at a high school in the Bronx, training them in memorization techniques to help them compete in memory competitions, and more importantly, on their exams. He later interviews the controversial Tony Buzan, best known as the creator of the Mind Mapping technique. Buzan makes an important point that I certainly agree with, stating that “Students need to learn how to learn. First you teach them how to learn, then you teach them what to learn.” I think that sometimes we focus so much on the content, that we forget about the process. Say what you want about mind mapping and memory palaces, but they at least bring some focus to the development and cultivation of the learning process itself, rather than bludgeoning the student with facts, figures, and dates. In the chapter called The End of Remembering, Foer also delves into some interesting observations about the evolution of the book, which struck me as very McLuhanesque. After walking through Chapters and BestBuy recently and seeing the explosive growth of eReaders and tablets this holiday season, I have to wonder what our books are evolving into. Are we becoming even more superficial in our reading, as we read quickly and widely, dwelling upon nothing? With thousands of books in a tiny <$200 device, and millions more just a download away, are we changing the very nature of what it means to be a book? I’d like to be optimistic and hope that the new technologies of eReaders and tablets will inspire and encourage a new generation of readers, but the pessimist in me worries that the fancy apps, games, and communication capabilities of the devices will prove to be more attractive than the hundreds of pages of text buried within ebooks. I am starting to feel like a bit of a Luddite, with my ever-growing collection of good old fashioned books taking up more and more space on my shelves, with the dog-eared pages and penciled-in notes a reminder of the slowly-read books I’ve dwelled upon over the years. 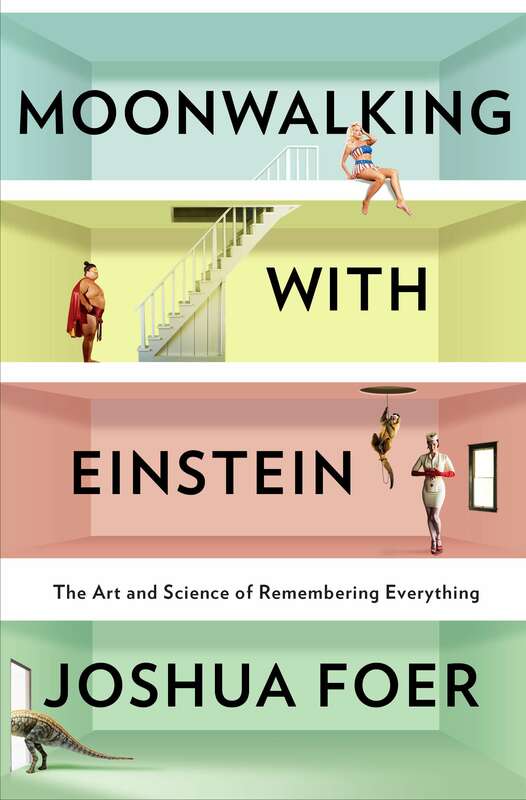 Moonwalking With Einstein is a fun read, full of quirky stories, some light science, and insightful ponderings about the history and future of our brains and our memories, both internal and external. Definitely worth a rental from the library at the very least.